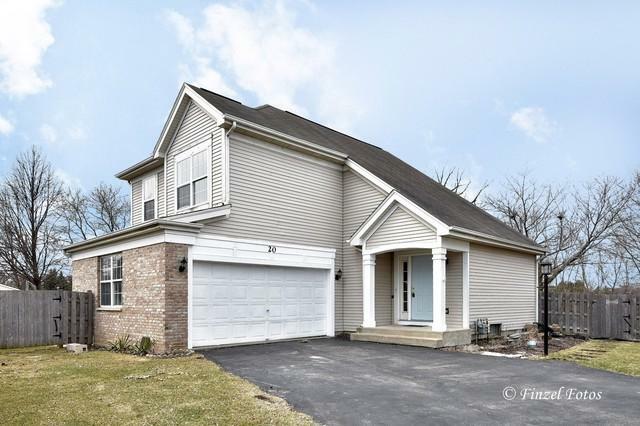 SPACIOUS TWO STORY HOME WITH THREE BEDROOMS UPSTAIRS AND FINISHED BASEMENT OFFERING ANOTHER BEDROOM, HOME OFFICE, AND LARGE FAMILY ROOM. 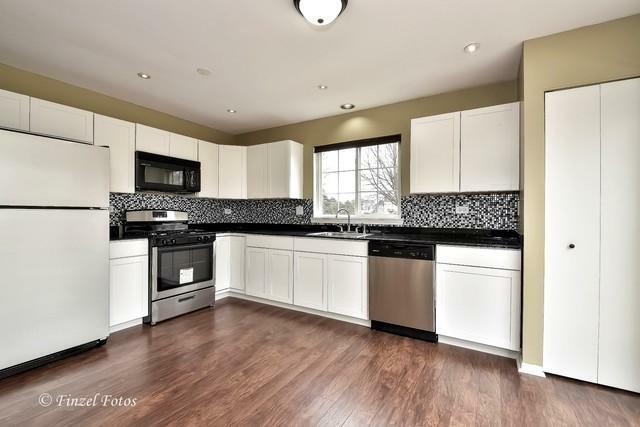 TASTEFUL UPDATES INCLUDE WHITE TRIM, RECESSED LIGHTING, FRESH PAINT, AND NEW FLOORING THROUGHOUT. 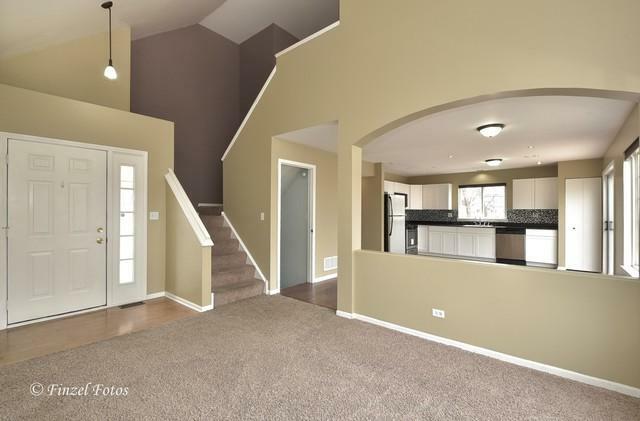 FOYER AND LIVING ROOM WITH SOARING TWO STORY CEILINGS AND LOTS OF NATURAL LIGHT. 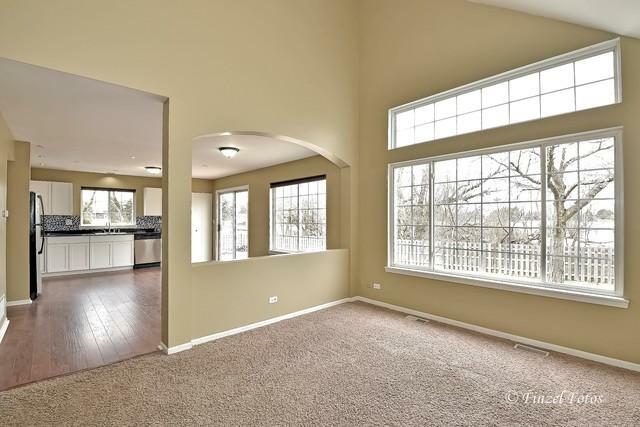 OPEN TO HUGE KITCHEN WITH LAMINATE FLOORING, PANTRY, AND CUSTOM BACKSPLASH. LARGE EATING AREA OFFERS SLIDERS TO THE PATIO AND BIG FENCED BACKYARD WITH A SHED TO STORE ALL YOUR GARDENING GOODIES. HOME IS NESTLED ON A PREMIUM LOT THAT BACKS TO CONSERVATION AREA. ATTACHED 2 CAR GARAGE. CONCORD HILLS LOCATION WITH HUNTLEY SCHOOLS.